Last updated October 17th, 2018. Currencies around the world have depreciated against the U.S. Dollar for the past few years. It hasn’t been limited to just a few different countries or regions either. 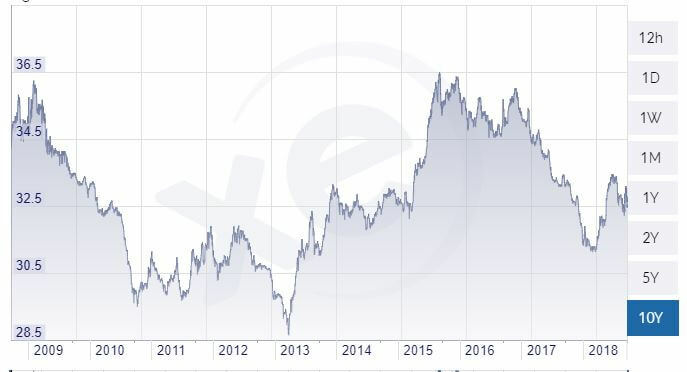 The pound, euro, rupee, yuan, and almost everything else are now significantly lower against the greenback compared to earlier this decade. No currency in Asia has been completely safe from this. But one has surprisingly done better than most, if not all of the rest: Thailand’s Baht. Even the Singapore dollar, which many people in finance consider the best currency in Asia, hasn’t been nearly as stable as the Thai baht. The yen, won, and practically everything else fluctuates within a wider range against the U.S. Dollar too. For example, the yen fluctuated within a range of 100 to 125 to the dollar since 2015. The baht moved in a much narrower range of 32 to 36 to the dollar – barely over 10%. For the past decade, the Thai Baht (THB) has fluctuated within a narrow range against the USD. It’s a stark contrast to most other Southeast Asian currencies which have steadily depreciated. The Thai Baht hasn’t always been a robust currency. It was one of the world’s worst performing during the 1997 Asian Financial Crisis. It didn’t fare too well in the more recent global recession either. However, the Baht has been perhaps the best currency in Asia for several years. This is because of reasons which include a strong tourism sector, weak export numbers, and lack of reliance on oil or other commodities. More than 32 million tourists visited Thailand in 2016. Its capital of Bangkok was the most visited city in the world, beating out Paris and London. This influx of foreign money being exchanged into Thai baht helps prop it up. Thai exports have been weak lately. But while the country’s GDP is rising slower than its neighbors, a relative lack of reliance on trade has kept the baht strong. The same can’t be said for places like Malaysia. Thailand’s southern neighbor is highly dependent on oil exports. Low crude prices have, at least in part, caused the Malaysian ringgit to suffer as one of Asia’s worst currencies. Plus, countries like Thailand aren’t doing massive amounts of QE like Japan is. 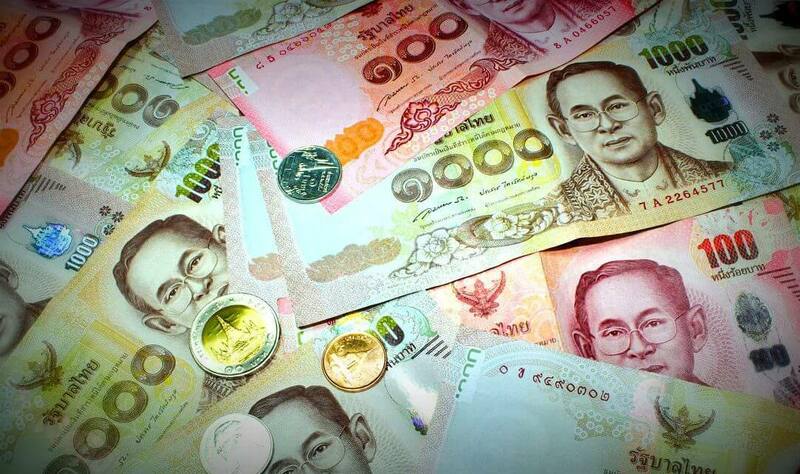 How Will the Thai Baht Perform in the Future? None of this necessarily means you should buy the Thai baht right now. Past performance doesn’t guarantee future results, and the baht’s history is less impressive when looking at a 10 or 20 year timeframe. The point still remains: the best currency to invest in isn’t always the most popular one. Nor is it necessarily the one perceived as safe by everyone else. Over the past few years, some people bought Singapore dollars due to the city state’s reputation of stability. Others bought Japanese Yen to diversify their wealth – without knowing what they’re diversifying into. Just because you invest offshore doesn’t mean you’re any safer. Diversification doesn’t help much if it’s not done in the right places. As for the Thai Baht? It’s steadily rising against the U.S. Dollar for the time being. Its future movement depends on the actions of other countries. But that would be a different article.